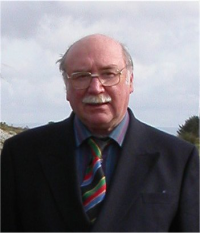 Michael Williams is a Cornishman and Cornish Bard. He and his wife Sonia founded Bossiney Books and were regional publishers for twenty-five years. They live near St Teath, North Cornwall. Michael's recent authorship includes Ghosts Around Bodmin Moor and Writers in Cornwall. He is President of Paranormal Investigation, a group exploring the edge of the unknown in the south west, and is currently researching and writing about strange happenings in Cornwall.